"My decision to retire has been one of the hardest I've ever had to make," Thompson said. "After several discussions with my specialists and consultants, it is with a heavy heart that I am retiring from the game I love. "I have battled through some of life's hardest challenges and have managed to overcome them. However, I've pushed my body to the absolute limit. My mind has grown stronger, but with the intense treatment my body has had to endure over the last six years, it is no longer able to perform to the demands of the professional game." Thompson was first diagnosed with nodular sclerosis Hodgkin lymphoma in November 2013 while playing for Tranmere Rovers before returning to action with Bury in August 2014. The cancer returned in December 2016 after Thompson had re-signed for Rochdale, his hometown club, but he was once again able to resume his career a year later. 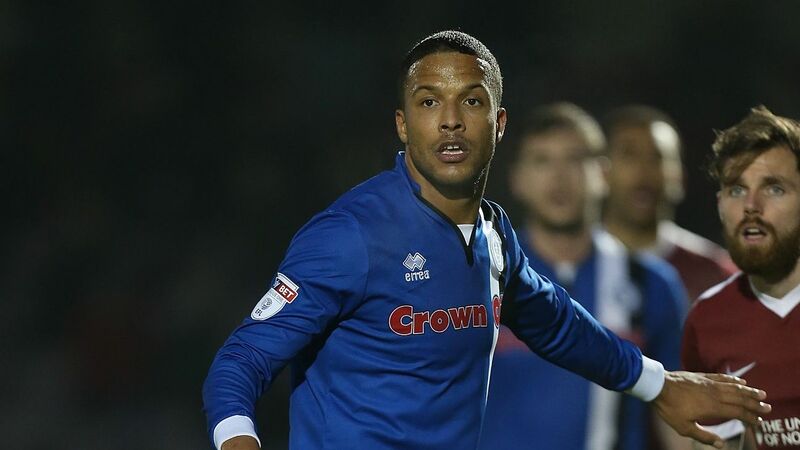 He went on to play in last season's FA Cup clash against Tottenham at Wembley before scoring the only goal in a 1-0 win at home to Charlton on the final day of last season which saved Rochdale from relegation. But Thompson, who spoke to ESPN FC about his battle back to health and fitness last February, said he is now determined to use his experiences to help educate and motivate others. "I am a firm believer that when one door closes, another door opens," Thompson said. "I'm looking forward to all the new opportunities that will come my way. "I am hugely excited to enter the world of motivational speaking, mentoring and the media. I believe I have a duty to mentor younger professionals in the game. "I would like to thank them dearly; particularly my wife Chantelle, my mum Michelle, brother Reuben and my amazing daughter Lula. You have all been my light in my darkest days. "I would also like to take this opportunity to thank my teammates, my manager Keith Hill and all the staff at Rochdale. You are truly an unbelievable group of people. "Last, but not least, I would like to thank the footballing world. Especially the Rochdale fans who have been with me since I made my debut 13 years ago. "That goal at the end of last season meant the world to me, to be able to share that with you all made me immensely proud. I've received thousands of messages from football fans around the world and it's been truly humbling. I cannot thank you enough. "Without my family and football, I honestly can say I don't know whether I'd be here."